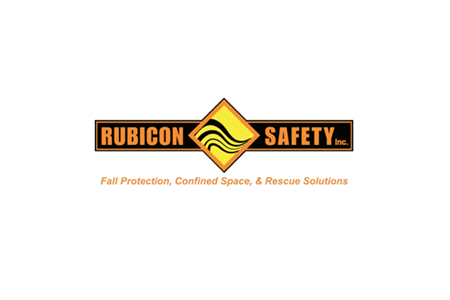 As an approved training provider, Rubicon Safety Inc. offers training at your workplace or in one of our many open enrollment courses. As of April 1, 2017, employers must ensure that certain workers complete a working at heights training program that has been approved by the Chief Prevention Officer (CPO) and delivered by a CPO approved training provider before they can work at heights. Call 1-800-341-0565 for group pricing! Rubicon Safety Inc. is a privately owned & operated corporation based in Burlington, Ontario with a satellite office in London, Ontario. Our team of instuctors can travel anywhere ... morein Canada to your site,or local training is held in our various open enrolment courses in Burlington, Brantford, Aylmer, & London, Ontario. Rubicon Safety Inc. is pleased to be an Approved MOL Training Provider for Working at Heights in Ontario. 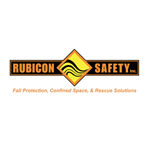 Rubicon Safety Inc. provides excellence in industrial/rescue safety solutions, so you and your workers can be confident that you are working safely, allowing you to focus on what you do best, your business. Our team of instructors have an extensive background in working at heights & rescue & take the training of you & your team very seriously. Our team includes MOL & OWWCO Approved Trainers, P.Eng, First-Aid Trainers, NCSO, as well as Tractel Authorized Service Technicians. Custom Courses are our specialty! This Ontario Ministry of Labour approved training provides workers in the Ontario construction industry with the knowledge and certification for working at heights in the Province ... moreof Ontario. Students will receive the most contemporary information and certification from ministry-approved industry experts and trained adult educators. This program consists of a combination of theory and practical modules and complies with Ontario Regulation 213/91 (Construction Projects). Our instructors are certified and approved by the Ontario Chief Prevention Officer (CPO) as meeting the Working at Heights Training program and provider standards. This Ontario Chief Prevention Officer approved training provides workers in the Ontario construction industry with the knowledge and certification to safely work at heights in the Province of Ontario. Students will receive the most contemporary information and certification from CPO-approved industry experts and trained adult educators. Cancellations made 5 days before will be fully refunded. Our team of instructors have an extensive background in Training, Rescue, Firefighting, & Construction Safety NCSO. We are pleased to offer free parking to our trainees at our Burlington, London, Brantford, & Aylmer Training sites!